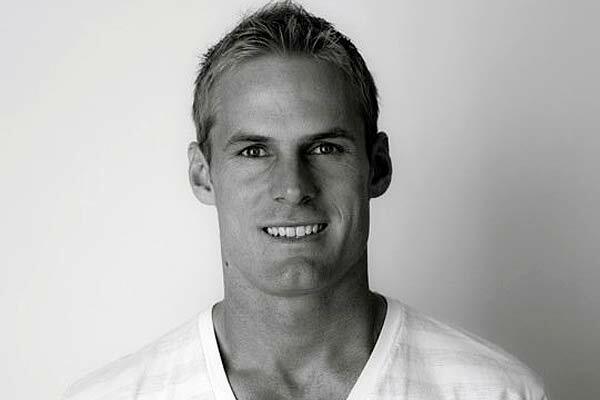 Neil Russell is one of the most highly qualified, experienced and sought after trainers in Australia, he has trained Hollywood celebrities, models, top athletes, high profile corporate and widely recognized brand names. He started working in the fitness industry as a gym instructor in 2001 whist studying Human Movement Studies at the University of Technology, Sydney (UTS). In 2004, he spent hours performing physiological testing on athletes in the UTS human performance laboratory and wrote his thesis examining the physiology of team sports performance. For his research paper he received a 1st Class Honours Degree. Since completing his major work Neil has built a reputation of being an authority on exercise and sports performance training having had a number of articles published in the internationally recognized Journal of Science and Medicine in Sport. He is currently the resident expert exercise consultant for Weight Watchers, writing articles and providing online exercise content direction. He has also featured as a fitness expert in CLEO, Men’s Style, Body+Soul, Women’s Fitness, Men’s Muscle & Health and other magazines. In addition he has lectured in ‘Strength and Conditioning for Human Movement’ at the State Sport Centre (ACPE), has taught at UTS and UNSW in health, exercise prescription and performance development. Neil’s passion and knowledge in the area of team sports performance resulted in his appointment as Head Strength & Conditioning Coach for the Junior Elite Talent Squad (JETS) at the Parramatta Eels Rugby League Club. His role involved specifically testing and developing the physical capacity of up and coming talent including 2009 & 2014 Dally M Medalist Jarryd Hayne, as well as Krisnan Inu and David Williams who have played at the international level for Australia and New Zealand. After three years and two Grand Final appearances with the Parramatta Eels Under 20’s team he decided to focus on developing his own projects. In addition, Neil has worked as an Exercise Physiologist working closely with doctors physiotherapists to design and implement health management and exercise rehabilitation programs for private and work cover clients with a variety of lifestyle conditions, injuries, rehabilitation goals and exercise adherence issues. Many of the specific skills that can only be developed working in exercise physiology and rehabilitation have enabled Neil to safely help professional athletes and his personal training clients achieve their individual goals even when they present with an injury or chronic pain. Since focusing on his personal training business Neil has trained clients ranging from Hollywood celebrities and Paralympians to high profile business people and postnatal mothers. Boasting this unparalleled professional experience and knowledge, combined with his passion for maximizing his clients physical and psychological wellbeing, Neil is the ideal person to help you achieve your goals and overcome any obstacles that may stand in your way.